Looking to boost your knowledge in Assistive Technology? AT Australia will be running some of its most popular courses just for Students and New Graduates in February 2017. The course content is introductory and at a level suitable for students and new graduates. The courses will be held at our Blacktown office. Spaces are limited, Register Early! NDIS have translated the brochure My NDIS Pathway into ten languages other than English, available for download from their website. Other languages will be gradually added to the download area as they become available. 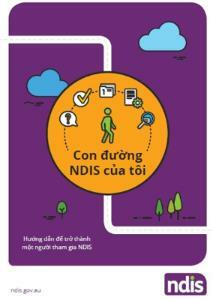 If you need help contacting the NDIS, please call the Translating and Interpreting Service on 131 450. 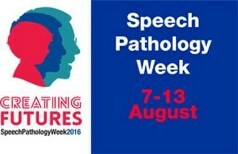 In 2016, Speech Pathology Week is 7-13 August. Communication is a basic human right and Speech Pathology Week seeks to promote the speech pathology profession and the work done by speech pathologist for more than 1.1 million Australians who have a communication or swallowing disorder that impacts on their daily life. ASQA has approved the inclusion of our Home Mods course on our RTO scope. ILC NSW is offering the national recognised competency, CPPACC5016A Provide Expert Access Advice on Renovations to Private Dwellings, as a two day course on Home Mods for built environment and allied health professionals. This course is an additional unit of competence towards a Cert IV or Diploma in Access Consulting. The ILC Everyone Connects Australia (ECA) Team has been busily preparing resources and event materials for 2016 Expos and Workshops. Starting from May, the ECA Team will be bringing the Consumer-focused Mini-Expos across Australia. Consumer Mini-Expos are designed for people with Complex Communication Needs (CCN) and their families. The cost is FREE for people with CCN and one family member/ unpaid carer. Others (e.g. therapists, teachers, paid carers) are welcome to attend at a cost of $25pp.